If your apartment is looking a little stale and old, a renovation can greatly increase is value! If you're looking at buying an apartment that people have already lived in, you may consider a slight renovation. Not only will this help you to customise it according your style and tastes, but you may be able to sell it at a higher price after the renovation. Today at homify, we are going to see how Renon, experts in restoration and renovation, have immediately improved a home with a facelift. However, we will find that they've worked with the original structure, taking full advantage of the characteristics of the property. You will also find that they've approached this home with excitement and creativity—almost like they are coming form a child's point of view! Breathtaking, colourful, creative and super fun. Take a look below to see what they were working with from the start. 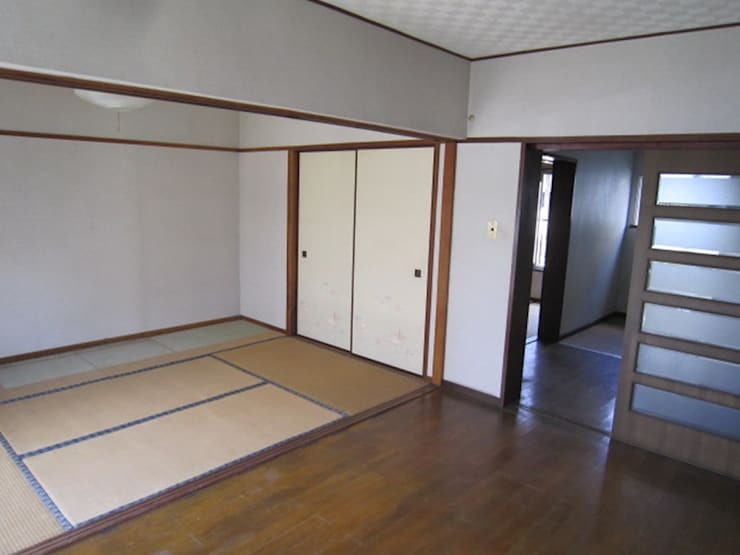 The Japanese-style room, which is adjacent to the living room, features a very boring and traditional floor design. The floors are also very different and don't work together in harmony. The dark wooden floors, the old white cupboards and white ceilings are very old-fashioned. The keyword for this home is fairytale and we can see why! The interiors look bright, colourful and creative—almost like we are seeing the home through the eyes of a child. The original shell of the kitchen remains, but it has been decorated with yellow mosaic tiles. 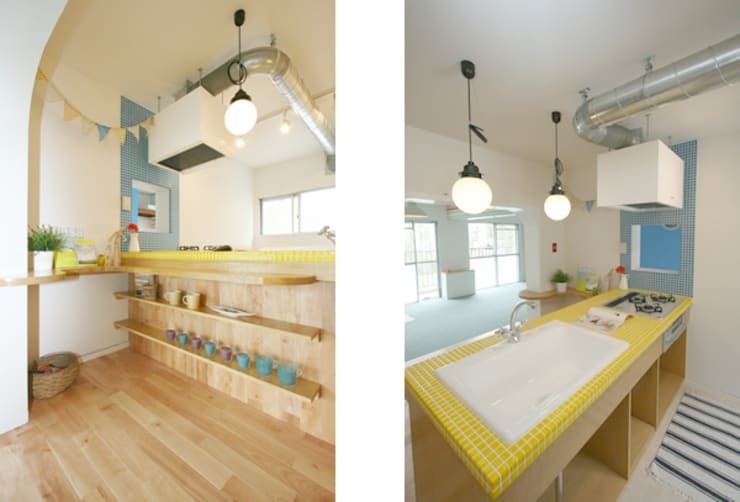 The white sink complements the beautiful yellow look and feel. 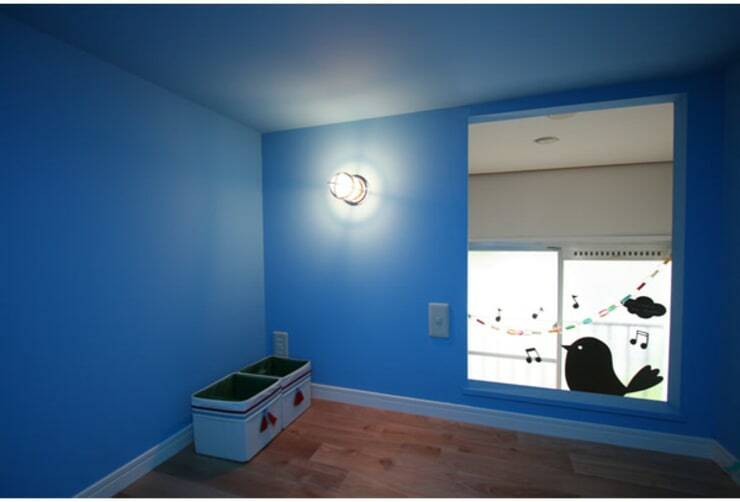 The colours also work in harmony with the pale blue walls. Want to achieve something similar in your kitchen? Have a look through the homify kitchen products for your own creativity and inspiration. The ceiling beams from the original structure remain, but have been enhanced by a multi-colour design. 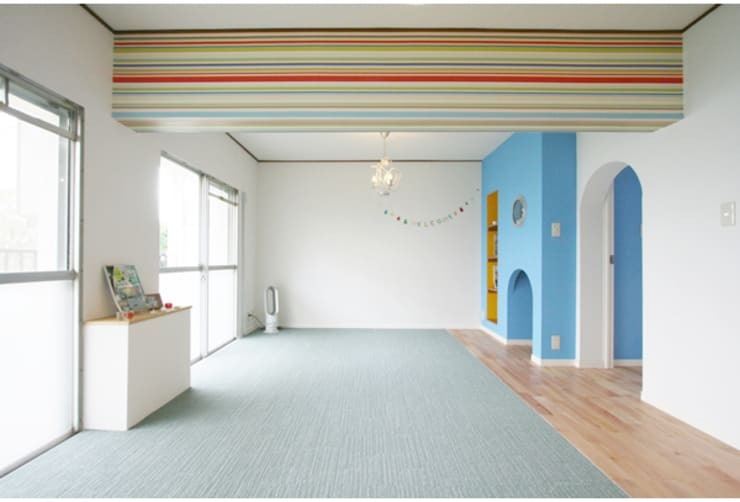 All of the colours of the rainbow have been painted in stripes across the beam, taking away any boring or monochrome styles. This creates a bright, warm and inviting atmosphere. 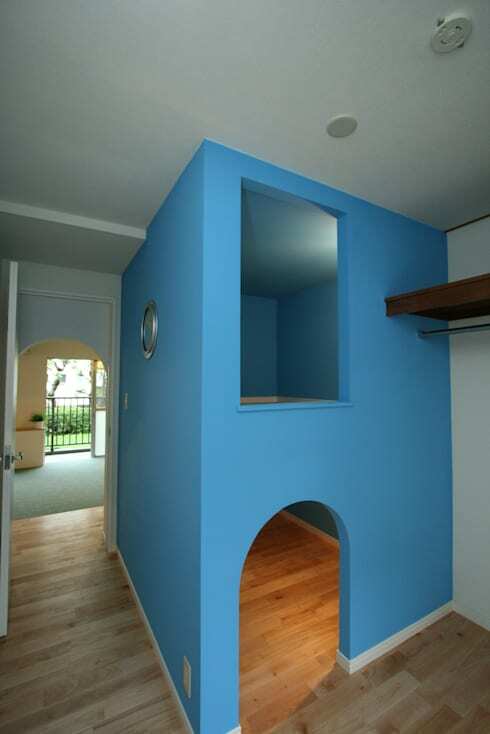 We love the pale blue carpet that has been installed in the living room, which complements the bright blue wall. It almost feels like we are at the sea! It feels like we can hear a child laughing when we explore this space because of how creative and colourful it is! The loft space connects the living room and the hallway, creating upper and lower levels. It looks kind of like a jungle-gym, where the kids can play hide-and-seek or curl up with a book! This type of structure would also be handy as storage space. This loft space almost takes on the shape of a ship, bringing a fantasy world right into the home for the children. This is much better than boring, white walls. How much fun would it be to live in this house? If we head inside the loft, we can see how prominent the colour blue is, enhanced by the light that has been installed in the wall. Now it really feels like we are at sea! Again we come back to the theme of the ship, which is very subtle. With limited space, these types of creative interior design tricks can be very useful. Isn't this your favourite space in the whole home? Thanks to smart storage solutions, it's also neat and minimalist. This is a home that is perfect for those who are looking to have children. 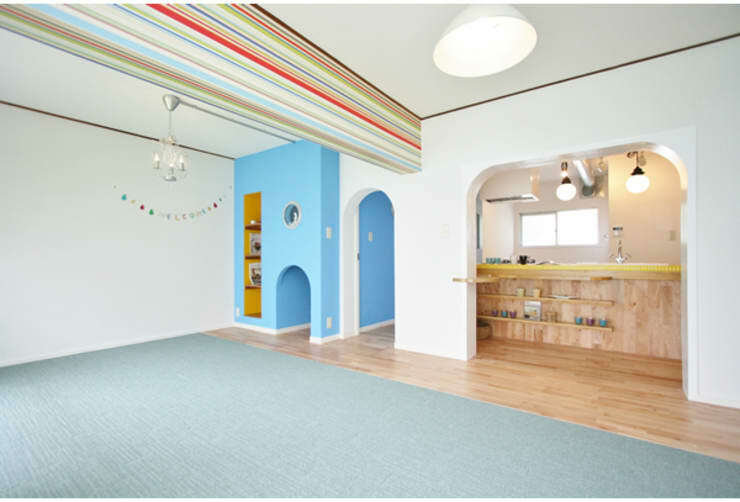 You are certain to raise them to be free, creative and fun in a home like this! What do you think of this colourful, fairytale home? Comment your thoughts below.